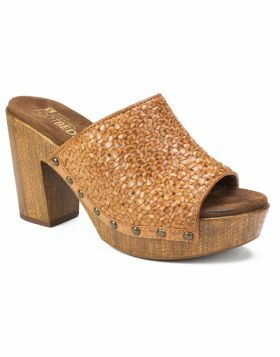 The Altheda clog sandal by White Mountain shoes is as glamorous as a wood clog heel can get. 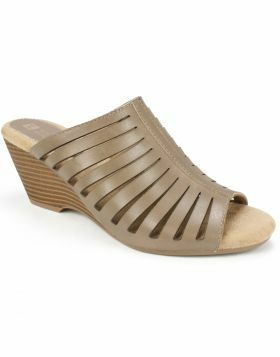 Featuring a soft suedette lining for ultimate comfort, and brass studs along the bottom for authentic style. 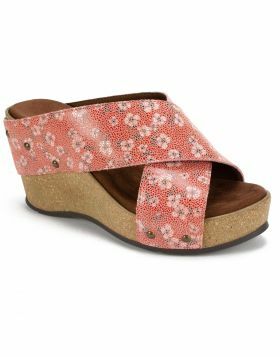 The Altheda clog sandal by White Mountain shoes is as glamorous as a wood clog heel can get. Featuring a soft suedette lining for ultimate comfort, and brass studs along the bottom for authentic style. Heel height: 3.75 inches.